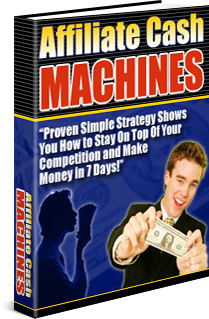 Proven simple strategies show you how to stay on top of your competition and make money of 7 days! Inside this eBook, you will discover the topics about affiliate marketing - how really competitive it is, offer your prospects bonus incentives, don't cut yourself short with offering rebates! How to win the affiliate war and much more!